The BJP slam the Opposition for blocking the passage of the Bill, grants Constitutional status to the Other Backward Classes commission, in the Rajya Sabha. 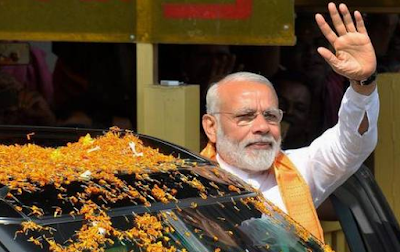 The BJP’s national executive meeting being held in Bhubhaneswar on Sunday passed a resolution lauding the Narendra Modi government’s move to get a Bill, according Constitutional status to the Other Backward Classes commission, cleared through the Lok Sabha. The resolution, moved by Lok Sabha MP Hukum Dev Narayan Yadav was seconded by Jharkhand chief minister Raghubar Das, and supported by Madhya Pradesh chief minister Shivraj Singh Chauhan and Petroleum minister Dharmendra Pradhan. They also slammed the opposition for blocking the passage of the Constitutional Amendment Bill in the Rajya Sabha. The Bill now lies with a select committee of MPs headed by BJP’s Bhupendra Yadav. “The Backward Classes commission was set up in the backdrop of the Kaka Kallelkar committee report and the Mandal Commission’s recommendations but remained a statutory body, not a Constitutional one like the Scheduled Castes Commission,” said Union minister Prakash Javadekar briefing the media about the resolution. “Several delegations of OBC MPs cutting across party lines had frequently asked the Prime Minister to accord Constitutional status to the Backward Classes commission, but when it came to the Bill, the opposition MPs blocked it in the Rajya Sabha,” he added. “These parties are preaching social justice and practicing vote bank politics,” he added. A second resolution, the political resolution of this executive was an endorsement of the Modi government’s direction in policy, what the resolution described as the pro-poor outlook of Prime Minister Modi. “Prime Minister Modi has won the trust of the poor. At one time, the pro-poor plank was with (late Prime Minister) Indira Gandhi and the Congress, now that plank has shifted,” said Mr Javadekar. On demonetisation he said that the people identified and recognised its intent to fight black money and corruption, while the opposition could not. He also read out a list of achievements by the Modi government including the distribution of cooking gas cyclinders, financial inclusion through Jan-Dhan Yojana, the linking of Aadhaar numbers and direct benefits transfer et al. The BJP slam the Opposition for blocking the passage of the Bill, grants Constitutional status to the Other Backward Classes commission, in the Rajya Sabha. The BJP’s national executive meeting being held in Bhubhaneswar on Sunday passed a resolution lauding the Narendra Modi government’s move to get a Bill, according Constitutional status to the Other Backward Classes commission, cleared through the Lok Sabha.